Here is a terrific hierarchical small multiple. This shows a wall calendar of a years worth of dates, sub-dividied into months. 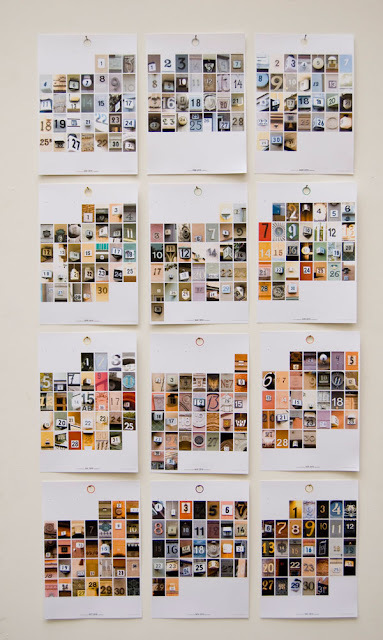 Each date image is an individual door number found in the streets of Stockholm. 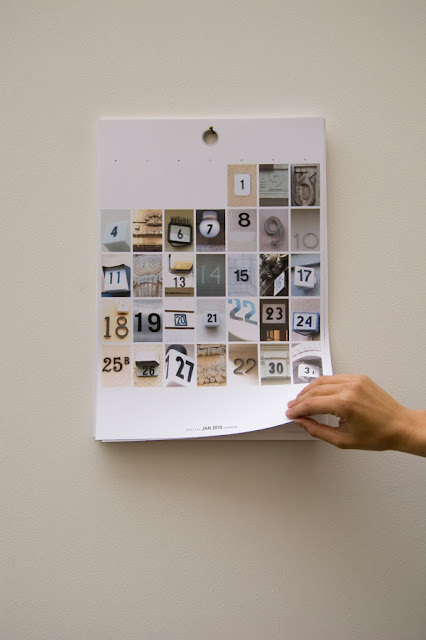 The holes holding the calendar up are colour coded with a dominant colour that follows the seasons. The calendar has an appendix with the addresses of where the numbers were found.